A Content Management System (CMS) is an important tool to manage your website content. 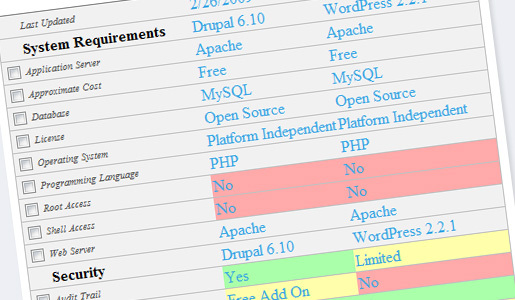 There are heaps of different CMS’s to choose from and many of them have different features to consider. CMS Matrix is an online tool that will help you compare over a thousand different CMS’s and show you ratings for each one. 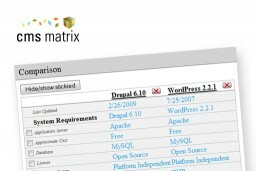 The CMS Matrix tool basically allows you to discuss, rate and compare CMS’s with regard to their features including: security, system requirements, support, ease of use, performance, flexibility, management, built-in applications and commerce. 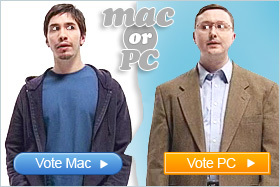 That should give you a helping hand when deciding which CMS is the right one for your project.